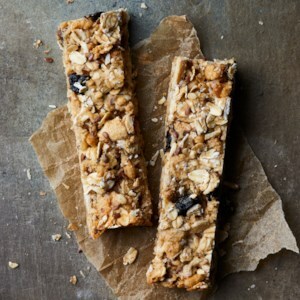 Find healthy, delicious flax seed recipes, from the food and nutrition experts at EatingWell. Forget the fork! 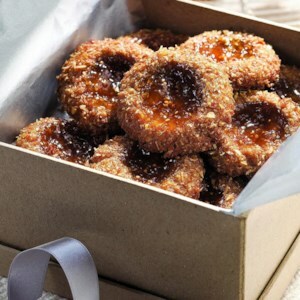 Just pick up one of these fruit-filled pastries and bite in. Perfect for a brunch gathering, dessert, or a sweet treat with your afternoon tea. This low-carb bread is chock-full of seeds and flours that make the loaf mimic classic bread while managing to keep carb counts low. This bread is a vessel for both sweet and savory toppings, but the nutty flavors of the ingredients shine with just a simple schmear of butter. 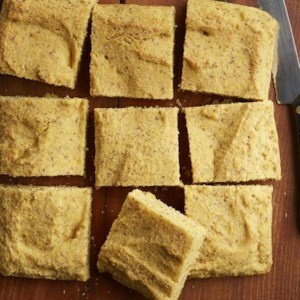 Classic cornbread can easily be made vegan with delicious results by replacing the egg and dairy milk with flaxseed meal and soymilk! Serve this easy recipe as a side with vegan chili or turn it into vegan cornbread stuffing. 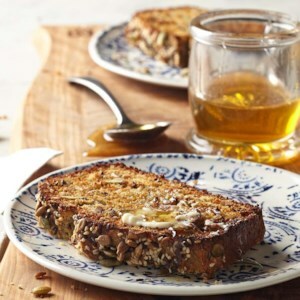 Flaxseed meal, which develops a gelatinous texture when mixed with water, replaces the eggs and provides structure to this moist, flavorful loaf. Turn leftover brown rice and quinoa from dinner or meal-prepping into these delicious crispy crackers that are loaded with three good-for-you seeds--and create an everything-bagel flavor, without the bagel. 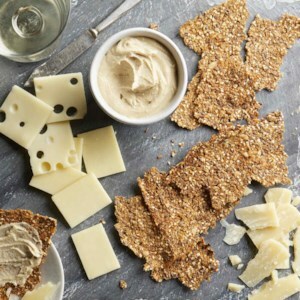 The whole grains that make up this copycat cracker recipe add lots of fiber for a healthy snack that pairs perfectly with hummus or cheese. 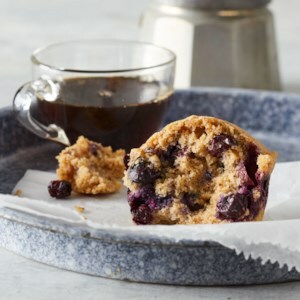 These blueberry muffins may not have eggs or milk, but they are light, fluffy and loaded with sweet fruity flavor. Flaxseed acts as an egg replacement in these vegan muffins that are perfect for a quick breakfast, Sunday brunch or late-night snack. Be sure to add the blueberries in with the dry ingredients, or they'll turn the batter purple. 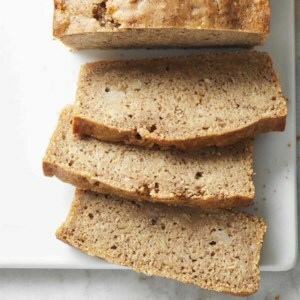 Mashed bananas, flaxseed meal and almond milk make this healthy vegan banana bread deliciously moist and tender. While this quick and easy bread might be eggless and dairy-free, it's just as delicious as traditional versions. 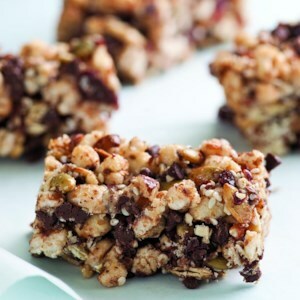 Add bittersweet chocolate chips for a decadent treat. 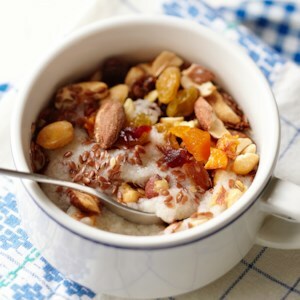 Adding trail mix to hot breakfast cereal is a great way to incorporate more fiber, protein and healthy fat into your diet. 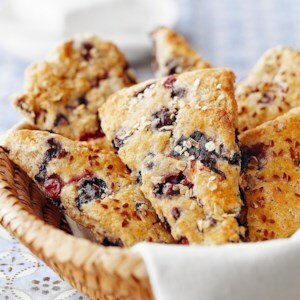 Start the day off right by enjoying these flaky scones made with oats, yogurt, blueberries, and flaxseeds. 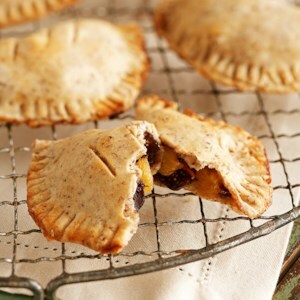 Spread them with light or fat-free cream cheese or low-sugar preserves. 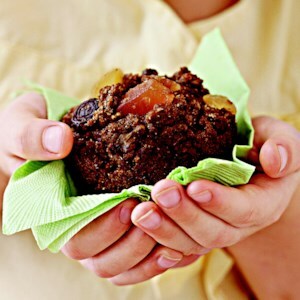 This healthy muffin recipe contains flaxseeds and canola oil, which are both high in heart-healthy, omega-3 fatty acids. 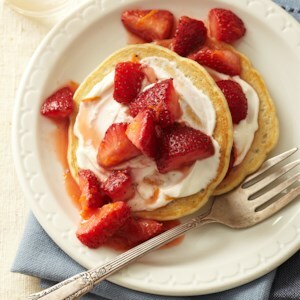 These strawberry pancakes are a healthy alternative to traditional breakfast pancakes. With ingredients like chia seeds, oat flour and fresh strawberries, they offer nutritious benefits without sacrificing taste. 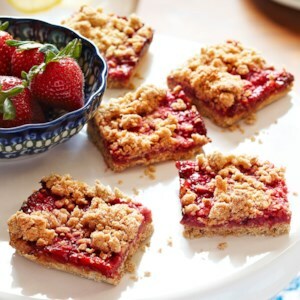 What a treat to start the day: bars made from fresh strawberries and boasting nutty flavor and healthy fiber from oat flour and flaxseed meal. Prep a batch for the fridge to have ready during a busy week. 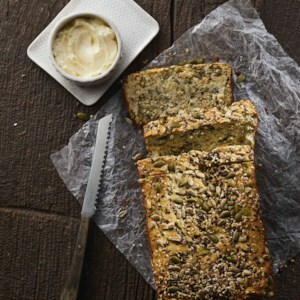 Bake this healthy, seedy loaf on Sunday and you can enjoy it all week--if it doesn't disappear first. This quick bread recipe is the perfect vehicle for both sweet and savory toppings, so try it as avocado toast one day and with honey the next. 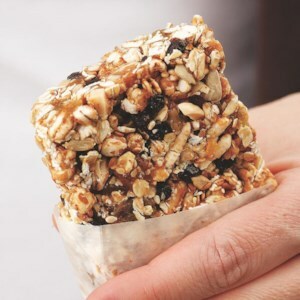 Store it tightly wrapped, as all the seeds make it a little more apt to dry out than typical whole-wheat breads. 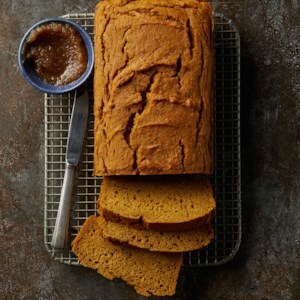 This tender, flavorful version of a holiday staple is made more wholesome with whole-wheat flour and flaxseeds. 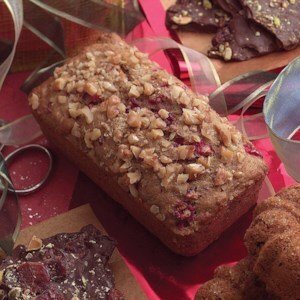 You can easily double the recipe if you are making these baby loaves as gifts. 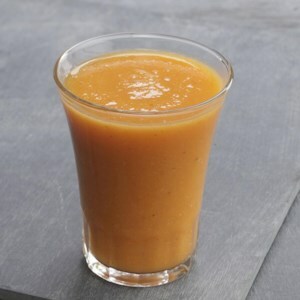 This bright orange smoothie gets its color from frozen peaches plus carrot and orange juice. Fresh ginger packs a flavorful punch. 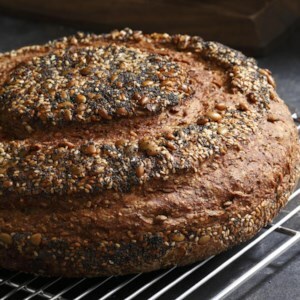 Not only is this seeded loaf high in fiber, but the blend of seeds and grains lends it a wonderfully nutty flavor, aroma and texture. A heavy container with a tight-fitting lid works best, as the steam trapped inside the pot helps crisp the crust of the boule. Keep in mind that in a very wide-bottomed pot the loaf will spread out and be fairly flat; in a taller, narrower one it will be thicker and have more height (but may take slightly longer to bake).